Here is how filtering works. 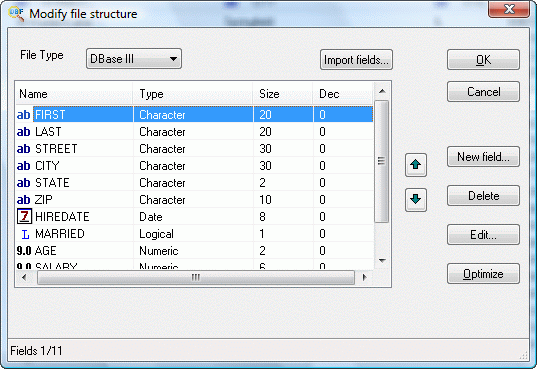 The program scans all fields in the database and displays them in the Filter dialog. For each field you can set the exact match, range match, as well as “greater than”, “less than”, “contains” and other conventions. Then simply specify the value or the range of values to match. 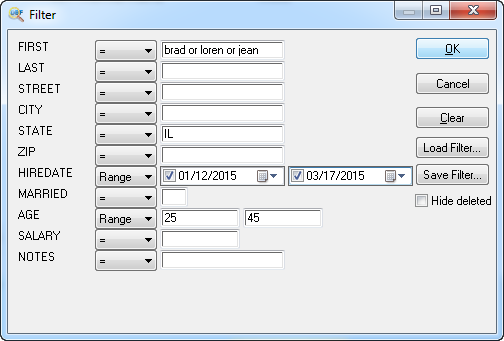 When you click OK, DBF Viewer 2000 applies the filter and shows only those records that meet the specified criteria. 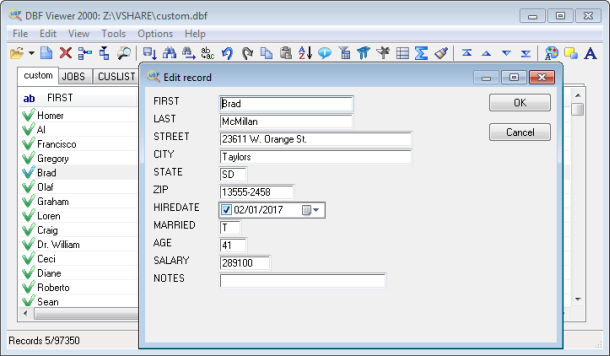 For quick filtering, right-click a record and select the filter you want to apply based on the value of the selected record. Export dialog. As you see, you can select which fields to export by checking them in the left list, rearrange them with up and down buttons, and configure various exporting options. 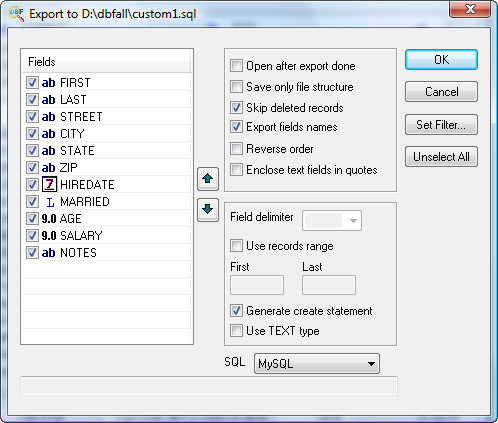 The program can Export DBF to XLS, XLSX, CSV, SQL, XML and other formats. 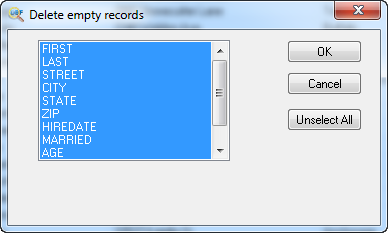 Another simple yet utterly convenient option is the ability to delete empty records. 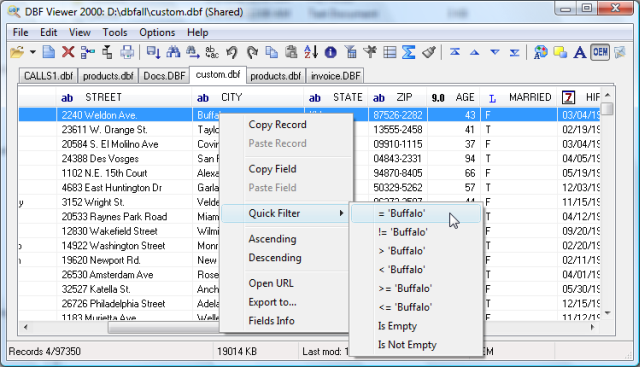 Select fields in the dialog that must be empty and DBF Viewer 2000 will delete all such records. 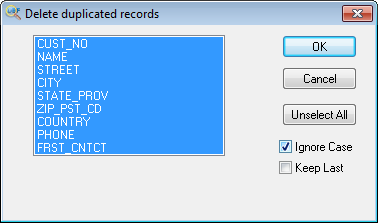 Note: the record is considered empty when ALL selected fields are empty. 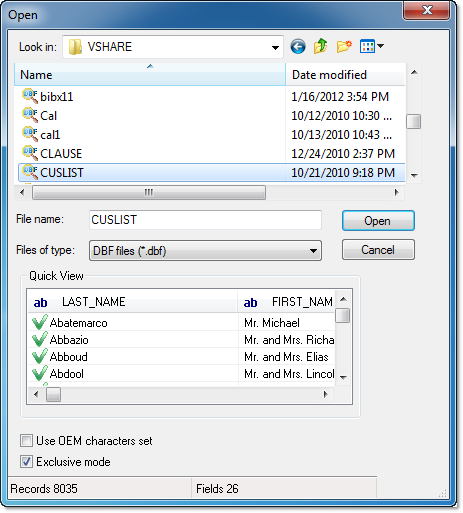 Delete Duplicates with ignore case.